Looking for another fun activity for learning CVC words? Your budding archeologists and explorers will love brushing away the 'soil' to discover words, one letter at a time ~ and especially guessing what the word might be as each letter is revealed. 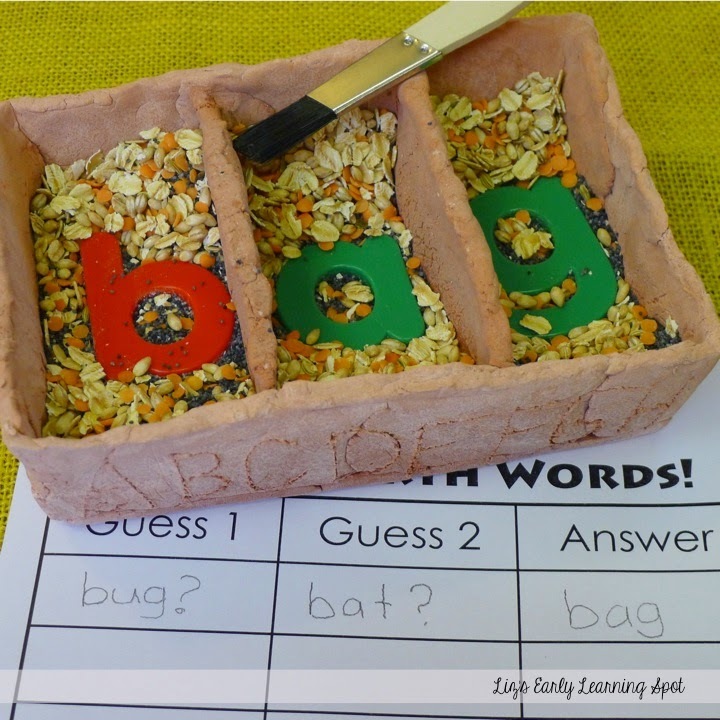 Jump over to the post at Liz's Early Learning Spot for a full description, plus how to make this clay version OR using a recycled plastic tray and cardboard. 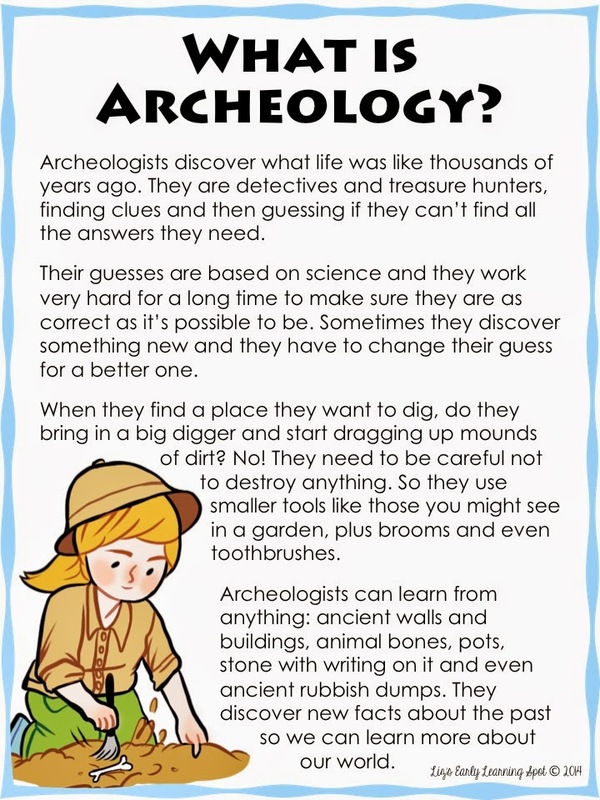 You can download the FREE recording sheet as well as this sweet poster introducing archeology to your kids. It talks about the need to make educated guesses, and the need to excavate carefully, just as they will do in this activity.